My Gateway Rewards is a programme to help encourage involvement of residents at Gateway Housing association. Earn BetterPoints for attending scrutiny panel meetings, logging repairs online, paying rent through direct debit and joining in with activities. Get active and earn rewards too - walk, run or cycle in East London and earn 2 BetterPoints per minute, up to 150 minutes per week. 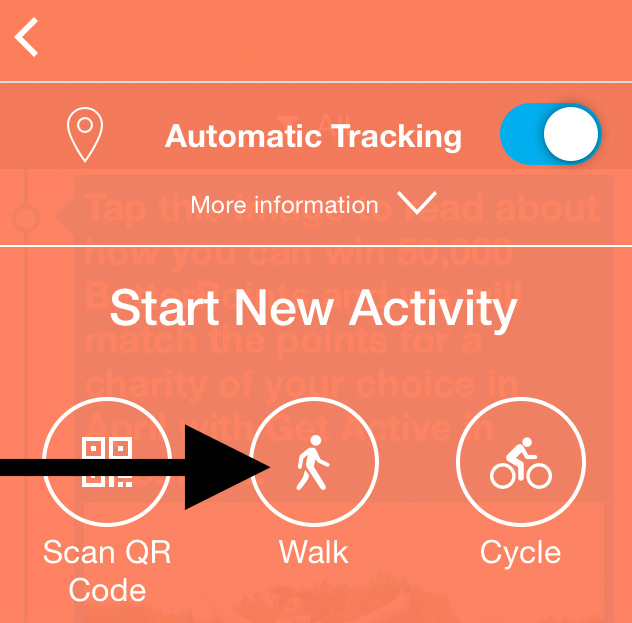 Once you step outside your home you can earn BetterPoints for walking, cycling or running. Then use your BetterPoints to reward yourself, by selecting a voucher, or donate to a charity. If you spot a charity you'd like to see on the BetterPoints website let us know by getting in touch here. How can we help you to stay motivated? With BetterPoints you can see your points accumulate on the app for your efforts, we will also share news of what is going on in your area to help you to get active. From time to time we will ask you questions about your travel and activity habits, please answer these promptly and honestly so we can put you in the appropriate reward level. This will also help us evaluate the impact of the programme when it ends. You must live within the Gateway Housing Association area, users who use a referral code to enter the programme who do not fulfill that criteria will be put into the UK Rewards programme after registering to earn BetterPoints.